The British physicist and the author of ‘A Brief History of Time,’ Stephen Hawking died at age of 76. The world of cosmology has lost one of it’s brightest start; the man whose insights shaped modern cosmology. He died peacefully at his home in Cambridge in England. His life has been and will be an inspiration to many. Hawkings did not lose hope or let go of his passions even after he was diagnosed with motor neurone disease at the age of 21. His deteriorating health did not deter his wicked sense of humor. The brilliant physicist was, in fact, guilty of intentionally running over students with his wheelchair in the Cambridge campus. Stephen Hawking was indeed an intriguing personality and in honor of his passing, we decided to do a special post dedicated to the superstar scientist. The English theoretical physicist was born on 8 January 1943, exactly 300 years after the death of Galileo. Not just his birth but his death was also aligned with brilliant people, 14 March marks the birth anniversary of Albert Einstein. Although nicknamed as ‘Einstein,’ by his peers for his brilliance, Hawking received mediocre grades in his school time. He was more interested in figuring out how things around him work. He disliked Biology. His father would have liked hawkings to study medicine, but his inclination was towards Mathematics. Since Oxford did not have mathematics as a major he chose Physics. In fact, he chose cosmology over particle physics as he found the latter resembles Botony and too descriptive. At the age of 21, he was diagnosed with amyotrophic lateral sclerosis (ALS). His life expectancy was foretold to be just a few more years. The threat to his life inspired him to be more passionate towards his research, as he wanted to achieve something before he dies. His most notable work includes his creation of the ‘Boundless Universe Theory,‘ with Jim Hartle in 1983. In 1974, Hawking provided a theoretical argument that black holes emit blackbody radiation also known as the Hawkings Radiation. Hawkings was fond of scientific wagers, despite losing them often. In 1997, he made a bet with John Preskill about the information loss when a black hole collapse. He conceded in 2004. Hawkings had 13 honorary degrees including CH – Companion of Honour (1989), CBE – Commander of the Order of the British Empire (1982), FRS – Fellow of the Royal Society (1974), FRSA – Fellow of the Royal Society of Arts, Presidential Medal of Freedom (2009). But the Nobel Prize always remained elusive to him. His book ‘A Brief History of Time,’ was on the best-seller list for a record-breaking 237 weeks. 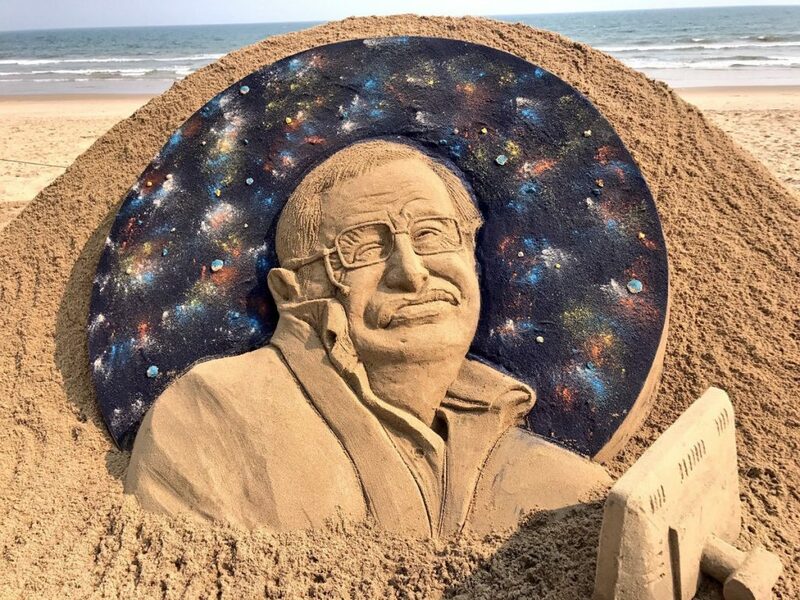 He collaborated with his daughter Lucy Hawking for “George’s Secret Key to the Universe.” The book is meant to explain heavy scientific concepts to young kids. When he lost his speech due to an operation, he started communicating through a speech-generating device. Initially, he operated it with a hand-held switch and when he lost the use of his hands, he employed a single cheek muscle to communicate. 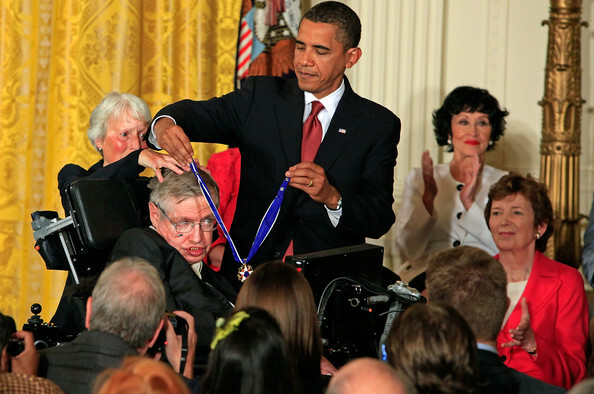 Professor Steve Hawking has had many pop cultural appearances in films, TV shows, books, and comics. Like The Simpsons, Futurama, The Big Bang Theory, X-Men comics, Star Trek: The Next Generation, and Doctor Who. 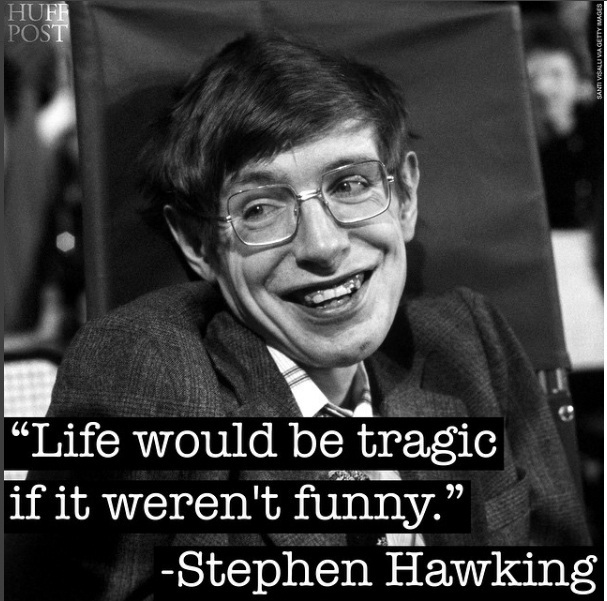 Offcource his brilliance but moreover, his ability to poke fun at himself made him hugely popular. Stephen Hawking has left an imprint on millions of aspirants in one way or another. 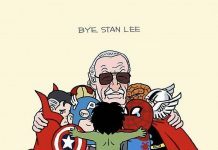 You will be sorely missed.